Eng. 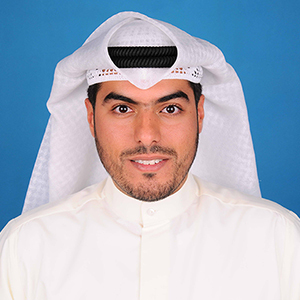 Haitham Al-Refaei joined Insha'a Holding Company as a Projects Manager in 2005. He's held several positions since he joined; he was promoted to Chief Operation Officer in 2006. In 2008, he was promoted to Deputy Chief Executive Officer. And in 2010 he became the Chief Executive Officer. Currently Eng. 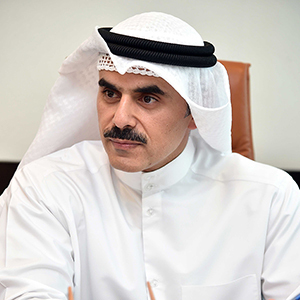 Al-Refaai is the chairman of EPO Gulf Co. in Kuwait, and board member of Global Mining Co. Oman also. Previously, he was working at Kuwait Oil Company (KOC) from 1993 until 2005 between various positions. Till his last position as a Senior Engineer - major projects. Eng. Haitham Al-Refaei has a Bachelor of Engineering degree in Civil Engineering from Kuwait University in 1992, Master of Civil Engineering (Projects Management) from Kuwait University in 2006, and Master of Business Administration (MBA) from Ahliya University in Bahrain in 2008. His experience and expertise span over 20 years in the field of Engineering, Projects Management, and Business Administration. Mr. Suliman Al-Odah has joined Inshaa Holding in August 2009 after a track record of success with Kuwait Stock Exchange and First Investment company. He managed to lead the financial operations as a finance manager successfully and continued his successful efforts in the face of various difficulties especially the consequences of the international economic recession in 2008. He enhanced the financial operations and investment decisions for the group of Inshaa’s subsidiaries which in conclusion lead him being promoted to the position of a Group Financial Controller in 2015. Al-Odah graduated from Kuwait University in 2004, College of Business Administration – majoring in accounting achieving a ranking of Excellent with Honors.